In 1939 the adventure comic strip Flyin’ Jenny was the first one that featured a girl. Up till Flyin’ Jenny, the comics were dominated by strong male pilots. Now there was a strong girl named Jenny Dare. The strip became an instant hit with girls who never thought that they could fly. It was illustrated by Russell Keaton and distributed by Bell Syndication from 19-1946. Jenny Dare was a pretty blonde girl featured at Flyin’ Jenny. She was a test pilot for the fictional Starcraft Aviation Factory. She became involved in murder, intrigue, and of course romance. As the United States entered World War 11 Jenny flew missions for Army Intelligence and was involved in combat missions in Europe. Unlike other comic strips, Flyin’ Jenny featured paper dolls once a month. This Sunday title was called Jenny’s Style Shop. Flyin’ Jenny attracted young girls interest in aviation. This was a man’s world that girls thought they now had a chance to enter. 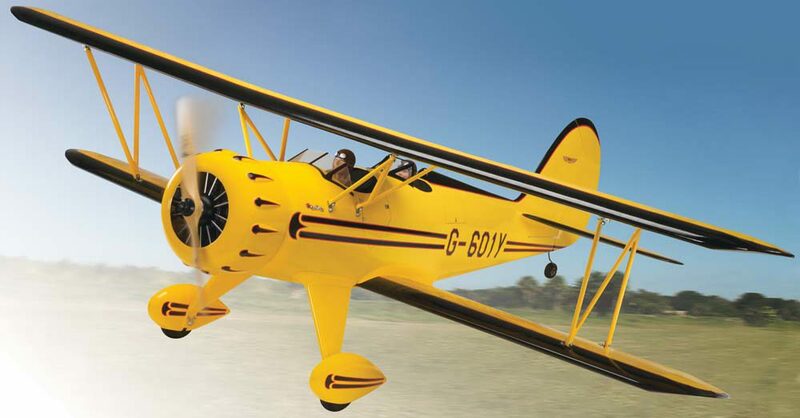 There is an interesting history of Flyin’ Jenny. Flyin jenny (ginny, jinny, or jinnier) was used for amusement rides like the merry-go-round where the riders seemed to fly around in a circle. Keaton one of the illustrators of the comic strip became a flight instructor. In 1921 Lee De Forest made a short film called “Flying Jenny Airplane.” It included the sound of the plane. This post is a look at the culture of the aviation world in the ’30s and ’40s. I love everything about aviation so I thought I would write about this subject. I hope it is interesting to you. 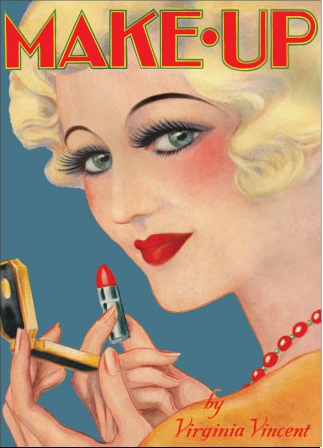 Makeup in the ’30s gave women a lift just as it does today. It may seem odd that women had any money to buy makeup. If they did they were able to escape from their difficult lives. Society changed during the depression and these changes were first noticed in the appearance of their favorite film stars. The ’20s’ look was bolder than the natural and refined look of the ’30s’. It amazing that cosmetic sales increased during the Depression. The economy was in tatters but women still wanted to look their best for their themselves, their husbands and children. Women’s magazines like Photoplay, Movie Magic and Motion Picture displayed ads for cosmetics and pictures of their screen idols. The most famous manufactures were Max Factor, Elizabeth Arden, and Helena Rubenstein. Sales spiraled when women read these magazines because they would visualize themselves looking like their favorite film stars. Women now shaved or plucked their eyebrows and used a black grease pencil to draw a high arch above their eyes. Usually, their eyebrows didn’t grow back. Jean Harlow made the arch very high and the outside edge almost looks like wings. Women put petroleum jelly or olive oil on their eyebrows or eyelids to look shiny. Black mascara was used on the upper and lower lashes. Some women used false eyelashes also. They curled and separated their lashes to achieve a longer and more dramatic evening look. If women wanted it to stay on a long time they used henna to stain their eyelashes and make them stay separated. For a daytime look, the mascara was used only on the lower lashes. Brunettes used eyeshadow for the evening dark blue or purple. This color made them stand out from women that had a more natural look. Those with blonde hair used blue or green shadow. Shimmer and cream shadow were used at night.After applying shadow women would use an eyeliner pencil on their upper and lower lids, This would enhance their overall look. Rouge was not widely used during the ’30s. If used women put it lightly on the apple of their cheeks. Rose was the most popular at the time. In the ’20s rouge made woman have a more theatrical appearance. In the next decade manufactures wanted women to appear more natural. Using lipstick was a time-consuming process. First, lipstick was drawn with a thin brush to outline the lips. Then the rest of the lips were filled in, After that, they would blot their lips because the lipstick was very thick. In this decade pan-cake foundation, creme blush, Kleenex, and nail polish were invented. Women first used cold cream or vaseline then Kleenex in order to remove their makeup at the end of the day or to reapply it. Dark red was the most used color of the decade but soon many colors were introduced by Elizabeth Arden. Then other cosmetic companies followed. Most teenage girls used lipstick but it was frowned on by adults. Nail polish for fingers and toes were very important to women. They gave a finished look. Dark red was for fingernails and the toenails were painted pink. Women were becoming more active in the ’30s so they needed something to refresh their makeup when they were out of the house. Compacts filled that need. They were round cases with a mirror and loose powder. The powder would be applied with a powder puff. In movies, women said to men that they had to go to the powder to the powder room to powder their nose. Once in the powder room, they would take out their compact and apply powder to their face. This decade saw the start of cosmetics for Black women. The well-known manufacturers still didn’t produce darker tones. Many black women tried to lighten their skin so their skin tone could seem white. Black women like Anne Malone and Madame N.A. Franklin started businesses that distributed their cosmetics to salons. Sarah Spencer Washington was even named the best business women at the 1939 World’s Fair. Women bought cosmetics and expect to look like their favorite film star. No matter how they tried they couldn’t achieve the same effect. Most film stars used pan-cake face make-up so they could stand out for the audience. Even if women used name brand cosmetics it was obvious that they would rarely look like a film star. Today, women can still buy cosmetics in colors that help them look like the ’30. There so many colors to choose that you can find the best color for you. Department stores sometimes have a trained salesperson to assist you. Most important be yourself. Enjoy the film stars of but realize the ’30s was a decade of fantasy and glamour. Understand this is Hollywoods impression of women. Usually, average looking women are not the lovely women in a film. Under the hats of the 30’s emerged the new hairstyles. Gone are the very short Bobs of the 20’s. Longer hair ruled the next decade. This is the time of the soft, wavy look. As the 20’s bob transitioned into the 30’s long hair was in vogue. Now women had to figure out what to do with their long straight or wavy hair. Women would curl their wet hair around a finger and the style became known as the “finger wave.” After they took their finger out the curl dropped and never lasted too long. Another method used “The Finger Wave.” After a woman curled her hair around her finger she would then apply a wave lotion and then use bobby pins to make the curls secure. She would let her hair dry overnight and then In the morning took the pins out. If a woman wanted to have a dramatic appearance she left the curls in place. For a softer look, she would brush her hair so the waves were not so tight. For a tighter curl, the hair was curled using the “Marcel Wave.” This was done with a heated curling iron that made the wave lasted longer. Again, women wanted to emulate their favorite Hollywood film stars like Ginger Rogers, Greta Garbo or Marlene Dietrich. If a woman could afford it she went to a salon each week or styled her hair at home. If she did it at home the outcome never looked like a salon style. One of the most popular styles of the decade was the Pageboy. Greta Garbo wore her hair in a straight pageboy and Bette Davis and Katharine Hepburn had very long wavy pageboy styles. It was very easy to style just make a side part and then curl the ends of the hair. To make women’s hair seem more glamorous they died their hair with Henna. The preferred color was platinum blonde like Jean Harlow and Ginger Rogers. Anyone in the general public that colored their hair was thought of as a woman of ill repute. A funny phrase meaning that the lady was not a good woman. Permanent waves were also the rage during the decade. Women with straight hair wanted curls so that they could look like a film star. Permanents could also make curly hair straight. Many women went to the salon for a cut, set and style every week. Every three months they had their hair dyed and permed. Hair accessories were very common in the 30’s. Women wore silk or fake flowers, bows, headbands and hair clips in their long pageboys. Bette Davis wore a detachable braid across the top of her head. These accessories assisted women to look and feel different about their appearance. Barrettes were fashionable and useful. Small ones were used to keeping their hair off their forehead and large ones at the back of the head. Many people say I look like my Aunt Vicky. Maybe this is why I think of her so often. When she flew her plane in the 30’s her light blonde hair was covered by her helmet. The late 20’s and 30’s were the start of women air races. The first all-women air race in 1929 was a cross country race stopping at various towns. At these stops, city officials wined and dined them. I wonder what their hair looked like when they took off their helmets and appeared at these dinners. They never had time to fuss with their hair. Women are foolish. You can’t go to a salon and ask to look like Ginger Rogers or other screen stars. You have to be yourself. Well, I guess, I can try a little. Maybe a wig would be the best solution for me. It’s amazing that 30’s styles can be found in vintage magazines and stores still sell vintage type hair accessories. If you go to a resale or vintage store you might find barrettes or hair clips. Of course, there’s eBay or Etsy. Each decade has its own distinctive fashion. I, personally enjoy the 30’s because it’s a duality of life. Women in abject poverty and the 2% still living a wealthy lifestyle. Both groups wanted to appear well groomed as possible. This was a way for them to survive during the dreadful Depression. The movies of the 30’s assist women to see how the “other half lives.” In this case, it wasn’t the half but 98% of our country. Film stars hairstyles could at least put a small smile on a woman’s face. Hearing her husband and children shout how lovely you look made life more bearable. After writing this post I think I might grow my hair medium length and buy some vintage hair accessories. I think that would be fun. I have very short straight hair so it would take a lot of time and effort. If I follow through I’ll show you results. 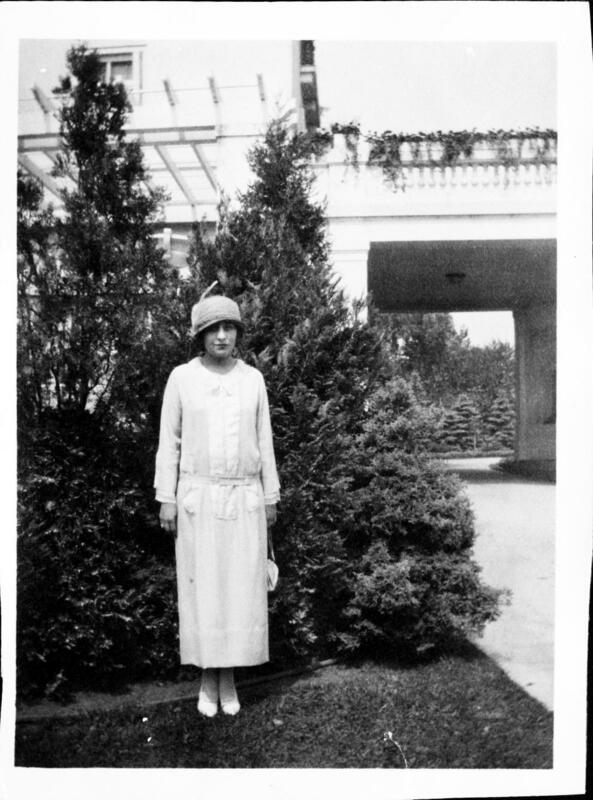 Vicky in the 1920’s at the mansion Raymere. Wish I could see her hair under the hat. I never was a fashionista but since researching and writing my series of posts on the fashions of the 30’s I feel different. I never cared about clothes, hairstyles, jewelry, or shoes. Now I am fascinated by fashion. Today I couldn’t help look at a woman that had long hair and soft fluffy curls and I thought I’d l love it. Some say that trying to imitate celebrities is not beneficial. They say that staring at pictures on Instagram and other social media sites makes you jealous and anxious. Is it really wrong? I don’t know. Why not change your appearance if you can? Or should be grateful and satisfied with ourselves? Hard to answer. I do know that I am enjoying learning and writing about the styles of the 30’s. This is a beginning of a series of posts entitled From Head To Toe. Today, I am profiling hats…hence From Head To Toe. Hats have been worn for centuries. Today few women wear hats except to church or weddings. The Royal Family still wears hats but that is changing too. Some of the popular hats in the 30’s were the snood, cloche, beret, slouch, sailor, and the Juliette. Marlene Dietrich was known for wearing a beret every time she went out. The beret fits close around the head and is tipped to the side. It was soft to the touch and round. Women found it easy to make at home because it was knitted or crocheted with cotton fabric. The cloche hat was made tight to the wears head size and was worn low on the forehead. Women wanted to imitate their favorite movie stars. Greta Garbo had“the look” that women loved with her slouch hat. The slouch hat had one side lowered and the other was pinned up. They sat somewhat below the wearer’s eyes and gave the women a mysterious look. They were usually very plain but sometimes had feathers. An unusual fact about the cloche was the message sent by wearing this hat. A ribbon in the shape of an arrow meant that the women were single but were in love with another. A tight knot indicated that said the lady was married. The center of hat making was Paris. Soon versions of these hats were found in stores in America. One of the most famous milliners was Elsa Schiaparelli. She made a crocheted mesh cap that was a comfortable style made to fit different ways for each wearer. It was called the madcap. They were an inexpensive way for women to look classy and wealthy women might make this hat out of silk to wear them to weddings and other evening events. Schiaparelli had an unbelievable imagination. She even made a hat shaped like a woman’s shoe. The heel was up in the air and the toe tilted over. The snood was a very popular hat in the 30’s. It was crocheted also easy to hold a women’s long hair in a small bag almost like a hairnet. It could be made of thick yarn, mesh or fabric. Many cover the forehead and fit behind the ears. In the 30’s a woman might be cleaning the house and want to keep her hair out of her eyes. Many hats have an old history. The slouch hat dates back thousands of years. It was worn by royalty and upper-class citizens. It has one side that drops down and the other is placed high near the crown. The sailor cap dates back to the nineteenth-century naval uniforms. They were made of straw and worn at informal occasions. It was a good way to keep the sun out of their eyes. The Juliette hat was named for Romeo and Juliet. Many times it was worn with a veil that sometimes came down to keep the eyes from sunlight. It was fun to wear and made people laugh. The Robin Hood hat caused women to be noticed and they were. It made women look taller because the top of the hat was pointed and had a feather pointing out of the hat. 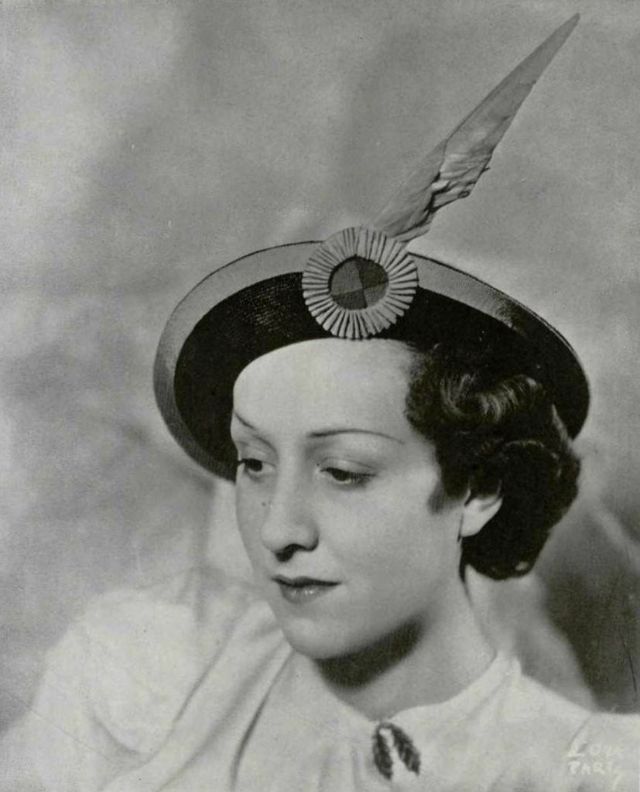 Hollywood screen idols influenced the types of hats women wore. Greta Garbo, Gypsy Rose Lee, and May West wore hats that related to the Victorian Era. The Victorian bonnet, the Cartwheel, and the Empress Eugenie hats were the most popular. These hats were worn in period dramas like the movie Romance made in 1930. It looked like the hat worn by the Empress when she went riding. It was made of felt and like most hats of the 30’s and had few decorations. Pillbox hats were invented in the 30’s. They were small and had no brim and had a flat crown. Clean lines added to the elegance its. They were made of many materials like wool, organdy or mink. The solid colors made them look very classical. Jacquelin Kennedy popularized this hat in the 60’s. Hats of the 30’s were identified by the wearers’ initials stitched inside the hat. This was a free service given to customers by many stores. That was a wonderful way to identify their hat. Hope you enjoyed a look at a long-ago decade. Incredibly, today you can buy these hat styles at stores like Macy’s, Nordstrom, Target or even at resale or vintage shops. Imagine that you can look classy and elegant like the movie stars you admired. High Society women lived well even during the Depression. The culture of the 30’s changed in many ways because of the Depression. It was a time of austerity and wealth. Only a small % of the population lived in the high society. Most lived abject poverty. Greta Garbo, Vivien Leigh, and Katherine Hepburn represented glamour and women wanted to emulate them. The stars were pictured in many magazines but women could only stare at them. Most could never achieve the looks of these famous people. Women used accessories like jewelry, belts and hats.to appear like their screen idols. There was an incredible disparity between the rich and the wealthy during the depression. Those in high society barely noticed the horrors of poverty that the average person endured. The rich lived in their own little world of excitement and fun. Many still had an incredible amount of money during the depression. Most people weren’t aware of the wealthy people because they were just trying to survive. They couldn’t imagine that they would ever that they could climb out poverty. Incredibly, this small percentage of rich people did exist. Screen stars like Greta Garbo, Vivien Leigh and Claudette Colbert represented glamour and rich women wanted to emulate them. Even the wealthy used accessories to enhance their look. Belts, jewelry, and hats were used on a regular basis by those that could afford these extras. They were able to afford some of these expensive styles but women living in poverty could never imagine wearing those clothes or any accessories. These accessories made many women feel like they were wearing different clothing. Women found ways to be frugal by wearing two-piece suits. This would allow women to change tops or skirts for different occasions. Women felt they had new clothes. Women’s coats during the depression were perfect for the frugal. The wealthy wore detachable fur collars and made it appear like two coats. Spring brought rain and high society women used clear umbrellas so their exquisite and stylish clothes could be seen underneath the umbrella. Wealthy men wanted to look like Cary Grant, James Stewart or Clark Gable. They wanted to dress like them, act like them or even imitate their talk. Men wore raccoon coats because they rode in open cars and had to protect themselves in inclement weather. These coats were the rage of the era while the men living in poverty were lucky to have a light coat. Men of great wealth always wore a suit. They were made to make men look more manly. The bought were very long to make seem strong and tall. Men who lived in poverty didn’t worry about looking more manly. Most of them didn’t even have any suits. They wore ill-fitting clothes because they never had the money to buy new clothes. They were just grateful to feed and clothe their wives and children. Men in poor families found jobs where physical strength was needed. They became dirty and needed strong clothes to be farmers, construction workers or minors. These clothes were called overalls. Children learned to play by using their imagination. Rich families bought their kids Mickey Mouse dolls or even a Buck Rogers ray gun. Boys and girls played with Tinker Toy Construction Sets, toy trains and Lincoln Logs. Poor families couldn’t afford to buy store bought toys for their children so they gave them old toys from siblings. These children played with finger paint, marbles and jacks. Children’s clothing depended on the parents’ monetary situation. If the parents were wealthy their children dressed as the child stars of Hollywood like Judy Garland, Mickey Rooney and Shirley Temple. Poor families were not able to dress their children in the same way. It was common for them to make their children’s clothes. Sometimes they even used empty flour sacks for their children’s clothes. Wealthy Parents were able to buy their children’s shoes for play, school or church. Poor children usually went barefoot because the family couldn’t afford to buy their shoes. High society people continued to live as they had in the 20’s. Scions of industry like John D. Rockefeller and Andrew Carnegie came to see and be seen at the famous El Morocco and The Stork Club. The most famous socialite was Betty Hutton. She had the most lavish coming out party that cost more than $ 60,000. Wealthy people could continue their lifestyle during the Depression where they could drink as much as they wanted. Those that wanted fun would travel by boat far enough from the shore line so prohibition laws wouldn’t apply. They partied, drank and danced to the best bands like Glenn Miller, Harry James and Jimmy Dorsey. The 30’s were the most unusual time in our country’s history. The wealthy and the poor never seemed to meet in the middle. Those who lived through the Depression era felt it colored their lives with riches or poverty. Not everyone was standing in line asking Brother Can You Spare a Dime. I don’t mean to diminish the horror of poverty during this era but we must remember both groups existed during the Depression. This reality was part of our country’s history. New York was the center of the cafe society. The El Morocco and The Stork Club were the places to see and be seen. Socialities, celebrities and those from aristocratic families lived lives that the rest of Americans couldn’t even imagine. The Waldorf Astoria-Hotel and The Ritz Hotel held lavish parties often planned by hostess Elsa Maxwell. These parties were the most extravagant of the era. Socialite, Betty Hutton was the granddaughter of the Woolworth family had a coming out party that cost over $60,000 in 1933. The rich and famous were in attendance including the Rockefellers and the Astors. Wealthy, newspaper magnate William Randolph Hearst was losing huge amounts of money during the Depression but he continued to spend extravagantly. His parties were known all over the country due to the gossip columnist Louella Parsons. The 30’s would be remembered as the of excruciating poverty and incredible excesses. Most people today only relate with their extremely difficult lives. Most don’t realize that there was a segment of the society that still lived the high life. The 30’s were the most unusual time in our country’s history. The wealthy and the poor never seemed to meet in the middle. Those who lived through the Depression era felt it colored their lives with riches or poverty. Not everyone was standing in line asking Brother Can You Spare a Dime. I don’t mean to diminish the horror of poverty during this era but we must remember both groups existed during the Depression. This reality was part of our country’s history. 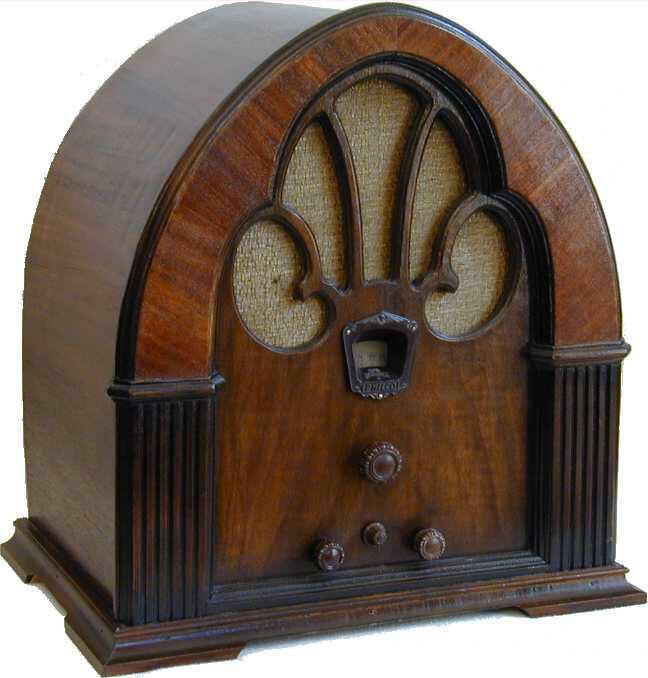 In the 1930’s people found an escape from their difficult times as they listened to the radio. Most families had radios and it was their favorite pastime. It became a family tradition for them to gather around the radio and enjoy their favorite shows. They used their imagination and entered a different world from the sadness of the Depression. Imagination can be a very powerful method to use your mind. You can see and hear things you might have missed if you only watch television. You can cry, laugh or smile as you return to a different time. Remember the days of old-time radio doesn’t mean you’re old. These shows consisted of exciting adventures, comedies, and mysteries. A radio show “War of The Worlds” even caused panic in the nation. It sounded so real that people thought the world was invaded by aliens. That’s the power of the imagination. The public’s favorites were: The Jack Benny Show, The Shadow, Flash Gordon, The Goldberg’s, The Marx Brothers, The Lucky Strike Radio, Bing Crosby and Judy Garland. Many performers started in Vaudeville, then radio and then some became popular on television and in movies. Chuck Schaden, a broadcaster and old-time radio historian hosted the radio show Those Were The Days from 1974 to 2005 when he retired. Steve Darnell is the current host and publisher of the Golden Age of Radio. He also writes about his favorite subject Old-Time Radio in the Nostalgic Digest Magazine You can listen to Steve Darnell every Saturday live from 1 to 5 pm on WDCB 90.90 FM in Chicago and nationwide. Some of these shows are available at your local library. If they don’t have them librarians may be able to order them through Inter-Library Loan. This is a service where libraries can search other libraries that might have what you want. Groups of performers entertain at libraries so you can listen to them read scripts of your best-loved shows. Today’s technology allows you to learn interesting facts about the programs and the performers on podcasts. Podcasts are like videos without the pictures. Some retail stores also sell Old Time Radio CD’s or cassette tapes. You can also purchase them online or on Ebay. If technology isn’t “your thing” that’s okay just listen to the radio show I mentioned. So sit back and relive your memories. Introduce these shows to your children and grandchildren and share your life with them. Maybe they will enjoy this new form of entertainment and spend less time watching television or texting. You might be surprised children might even learn to enjoy the shows. If they don’t like them find joy in them yourself.